Built in 1904 for Edna Hopkins Taylor Lowery by her father E.W. Hopkins, this historic Georgian Colonial mansion boasts many architectural details, such as Ionic, Doric, and Corinthian columns and elegant plaster reliefs. David completely redeveloped and redesigned the back of the home in collaboration with the developer’s, Richard Pivnicka, 21st Century vision for a modern families needs. 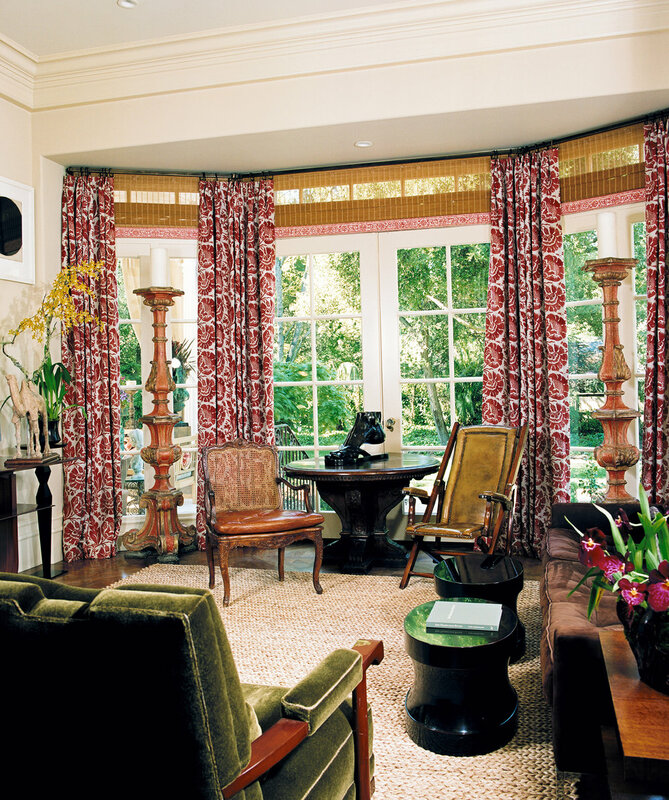 They took a warren of small rooms and replaced then with well-proportioned areas, making sure they complement one another while allowing each to maintain its own distinct character. The monochromatic kitchen and traditional breakfast room provide a clean backdrop to the playfulness of the family room. The visual juxtaposition of textures, hues, and style in the family room creates a very livable aesthetic. Warm, lively colors are combined in a fresh and bold way throughout the home; and the unexpected combination of the antiques with contemporary artwork delights the senses.